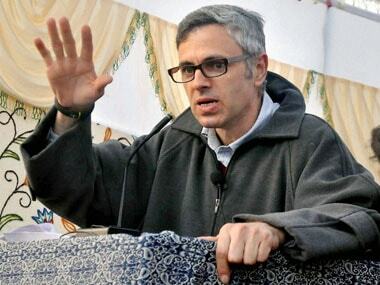 New Delhi: The NDA government's handling of the situation in Jammu and Kashmir in an ad-hoc and experimental manner has pushed the state several years back, former chief minister Omar Abdullah said on Monday. After a hectic political week, Abdullah feels that the BJP is yet to answer many questions, including "why it entered an alliance with the PDP and why it withdrew all of a sudden?" Another question which the people of the state will definitely be asking is why despite having 26 MLAs, the BJP decided to lend support to a two-member party (led by Sajjad Lone), he said. With his National Conference already into election mode, Abdullah criticised the BJP over its handling of the political turmoil in Kashmir. "Keeping in mind the 2019 elections, the BJP keeps changing its goalposts, confusing people. They have pushed the state several years back," he claimed. Commenting on the alliance of 'conflicting and contrasting' ideologies, Abdullah said, "When the BJP and the PDP united, it was stated that the north pole and the south pole had come together and an 'Agenda of Alliance' had been stitched. Has any of the promises been fulfilled by them? Now see what has happened in Jammu and Kashmir... Look at the present political crisis in the state." "Forget about initiating talks with Pakistan, they refuse to hold a dialogue with separatists," he said. About the Armed Forces Special Powers Act (AFSPA), Abdullah said, "In 2011 or 2012, there was a talk about AFSPA's withdrawal from some areas, as peace had returned. But, can we say that today. The footprint of the Army and para-military forces has doubled from where we left in 2014, only because all types of experiments were carried out in Kashmir and all of them failed." The vice president of the National Conference reiterated his views on the "unceremonious" dissolution of the state Assembly by Governor Satya Pal Malik on 21 November. "Till a few days ago, the governor wanted to keep the Assembly alive. 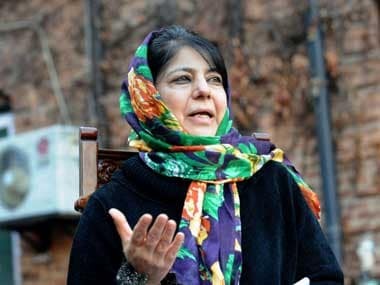 Overnight, it changed only because the PDP staked claim to form a government with the help of the Congress and my party," he said. "Within no time, the BJP and its proxies pulled out their weapon of mass destruction – Pakistan. We were accused of attempting to form a government at the behest of Pakistan. Can you beat it? Can someone ask them (the BJP) how did Mehbooba ji turn into a Pakistani suddenly when barely five months ago she was their alliance chief minister?" he said. For the BJP, it seems my-way-or-highway policy but they need to be reminded that India is a democratic country, he added. 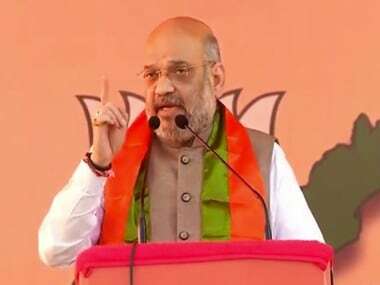 "The BJP had swept the Jammu region in previous Assembly elections but today, they stand exposed. They will have to do a lot of answering this time. And one should not forget (to ask) why was the assembly kept in suspended animation. 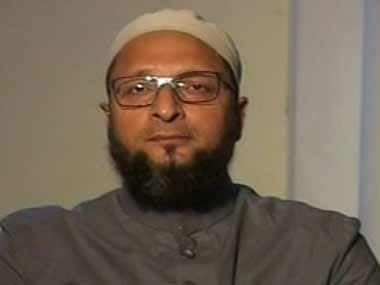 Was it done to allow Lone to keep on poaching MLAs from other parties, either with money or by threatening to open cases using the NIA and the CBI," he added. Asked about the Twitter spat with BJP General Secretary Ram Madhav, Abdullah said, "Look I'm a fairly thick-skinned person when I need to be... if he (Madhav) had challenged my patriotism, I would have cared two hoots for his utterances. I don't need anyone's certificate about my patriotism, nor will I ever be pressured into wearing it on my sleeves. "But the question was about my workers, nearly 3,000 of them, who have been targeted by Pakistani terror groups only because they refuse to join an anti-India bandwagon. These people died because we held on to the flag of the nation as soldiers do with the only difference being that my colleagues had no weapons to defend themselves with." Abdullah also drew attention to media reports that quoted senior BJP leader Seshadri Chari about a meeting he had with the NC leader in London, saying he had rejected the idea of forming a government with the BJP even then. About Madhav's tweets, Chari was quoted by a web portal as saying, "If somebody decides to be a political novice, we can do nothing about it." However, he had said that it was not the party's official stand. To a question on a possible alliance with the Congress at a time when the National Conference has been favouring a single-party rule, Abdullah said, "Yes, I would wish to have a single-party rule as there have been coalition governments since 2002. But having said that, let me make it clear that it's my opinion and I am yet to consult my senior party colleagues." "I need to consult them before arriving at a final decision," he said, and added with a smile, "our party works democratically". Asked whether a third front led by Lone would be a force to reckon with in the forthcoming elections, he said, "Let us see. Let the Centre first announce dates for the Assembly elections."